Today I’m participating in the Ultimate Blog Swap. You’ll find me posting over at Warrior Mama about Praying without Ceasing, and I’m excited to welcome Dominique to LIFE by Ashley Pichea. 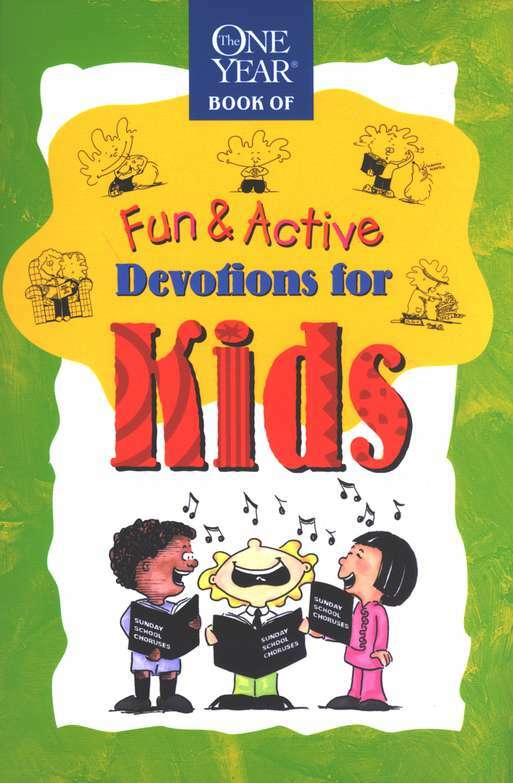 The One Year Fun & Active Devotions for Kids is a book which I bought to try out with the kids. I’ve been wanting to do more with the kids to build up their knowledge about GOD and be familiar with the bible. I wanted something which could cater to both my boys who are 5 and 8 years old. My aim is to get them to learn about God and what is really important, a little by little each day. Even though we may not be able to carry out the activities on a daily basis but to do it weekly or bi-weekly would be a great start. One Year Fun & Active Devotions for Kid has 365 devotions which one can do with their kids. Questions are followed by answers that are supported by Bible verses. Themes of the devotions include God, the Bible, right from wrong, Heaven and angels, money matters, the world, prayer, friends and school. I would flip the book open to the day’s date and read through the page before deciding whether to attempt the activities with the boys. Example: March 21- How do I trust God for Money? Related Bible verse – “Don’t be troubled. You trust God, now trust in me.” John 14:1. There is a short explanation about trusting job which I would read out to the kids before doing the suggested activity. I altered the activity a bit to vary it for my kids to make it easier for them to understand the focus by using daily life examples which they can relate to. I gave them some dollar bills and coins and made them explain to me how they could use the money and what they decided on it. I also explained to them that GOD does give us the tools to provide for ourselves and by placing our trust in him we will be able to find a way to survive financially. I personally find this book extremely good as it not only gives kids but parents too bite size information about how the teachings of the bible can be incorporated into daily life. It really helps me bring learning of scripture down to the kids level of understanding and get them more interested in learning more about Christianity. Dominique Goh is a Singaporean elementary school teacher, freelance writer and mom of three who is passionate about parenting and educating kids. In her free time you can see her dabbling in photography, cooking and cake decorating and blogging at Dominique’s Desk. Thank you. I have been wondering about a devotional for my almost 5 year old. So many I pick up seem to be geared for a little bit older kids. Thank you again. Here from the Hop. @Garden Tenders, Yes the book is for slightly older then a 5 yr old but I simplified some of the activities so that my 5 yr can follow along with his 8 yr old brother.